BOPA Collection | Milwood Neighborhood Assoc. Start gathering those leftover latex paint cans, used oil and oil filters, and dead batteries PLUS clean/dry styrofoam and plastic film! 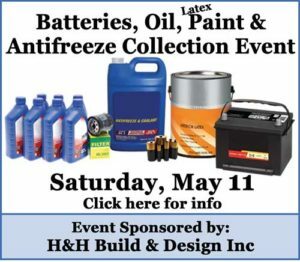 Because Milwood Neighborhood Association will ONLY be collecting: Batteries, Oil, Latex Paint, Antifreeze, Styrofoam and Plastic Film on Saturday, May 11th, from 8:00-10:00am to St. Stephen’s Baptist Church. We must close at 9:45am or when we fill up to be able to get the materials to the City site and unloaded before they close at noon. We will not be accepting other household hazardous wastes including: oil-based paint, paint thinner or stripper, cleaning chemicals, pool chemicals, pesticides. This event is free to MNA members that are current on their $15 annual dues or donate $10 or more to Balcones Park. Not a member? It’s easy to skip the line and join online or at the event. We are also accepting non-member drop offs for a suggested donation of $10+ as a park fundraiser. 100% of the donations raised will go to improvements in Balcones Park. We’re also looking for volunteers for our collection event. We need folks to corral the cars, unload vehicles, load the collection truck, and assist with separating the collected materials. If you’re looking for a great opportunity to help serve your neighborhood, meet your neighbors, and protect the environment, come join us by emailing us at mnaboard@milwoodna.com. Thanks Karl Hanson for helping us make this event possible!